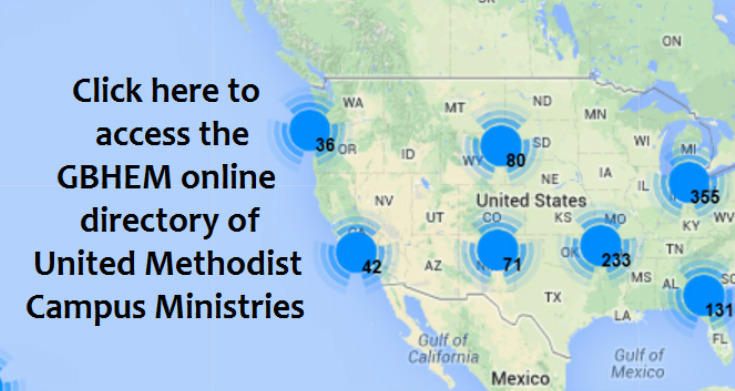 The General Board of Higher Education and Ministry maintains an online directory of UM campus ministries here. If you would like to suggest an update to your information you can e-mail Sarah Porter at GBHEM. She is working on a new database that will be updated and refreshed in the future.